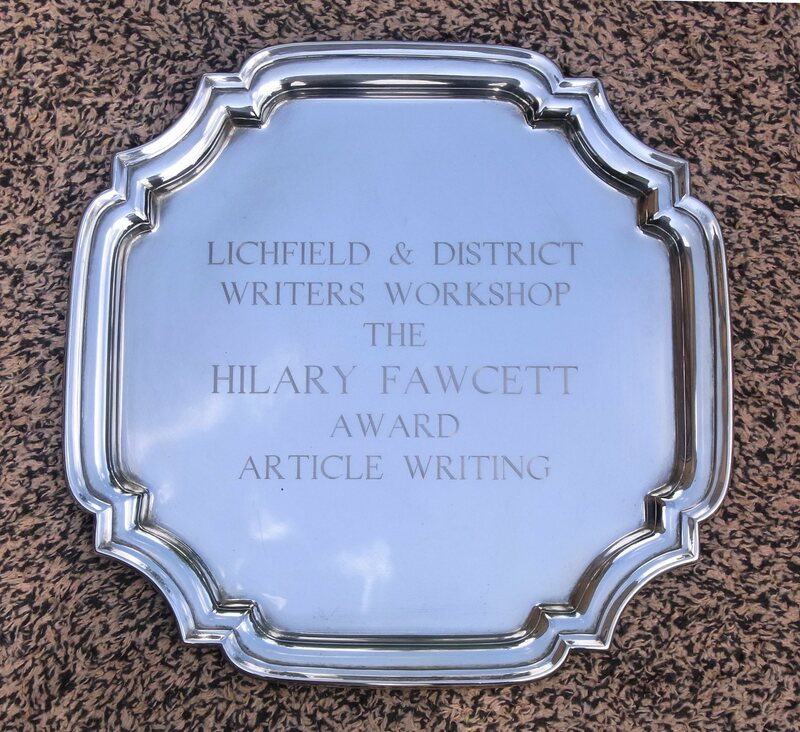 I won the Lichfield & District Writers’ Article Writing Competition (members only) and received the lovely silver tray in the picture. Unfortunately it’s not to keep forever – I will have to hand it on to the next winner. Congratulations to John Walters and Elizabeth Dickerson who came second and third respectively, with articles on listening to the radio as a child and collecting collectibles. My article tried to dispel the many myths around church bell ringing (bats in the belfry, super human strength needed etc etc). I was placed third in the Emerald Writing Workshops Novel Opening Competition and received a £10 cheque. These 500 word competitions are run quarterly with a very reasonable entry fee of £1.80 for a £50 first prize. Well worth having a go! The next closing date is 31st August 2011 – check the website for further details. That’s the good news over with and now the more serious stuff. As many of you will know the women’s magazine fiction market is shrinking and the latest casualty is the one page story in Take a Break (although the Fiction Feast story special will continue to be published). So some womag writers have started a campaign to let the magazines know that we want more fiction. Patsy Collins has put details on her blog about how to use Facebook to voice your opinions to the magazine editors. Alternatively (if like me you don’t ‘do’ Facebook) you could email or write to the magazines’ letters pages. If enough of us make a fuss then maybe it will have an impact and bring back some of those short story markets. Fingers crossed! This entry was posted on June 23, 2011, 11:00 am and is filed under Competitions, Markets, Successes. You can follow any responses to this entry through RSS 2.0. You can leave a response, or trackback from your own site. Bad news about Take a Break. I’ll have to do my bit to make my voice heard. Congratulations on the competition successes! Writing or e-mailing is a great idea – especially if it’s the readers doing it. Of course, most of us do read the magazines we write for and want to read good fiction as well as sell some. Patsy & Sarah – I think it will be an uphill struggle to get more Womag fiction – but if we all pull together it might be possible. Well done on your competition wins. Will have a look at the Emerald page. Thanks, Susan. Best of luck if you go for the Emerald Comp. After a hectic few weeks, i’m only just catching up with your blog. Congratulations on your win, am well chuffed for you!